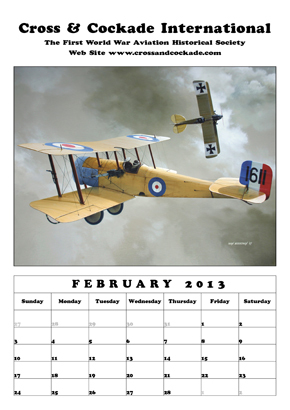 When the RFC was formed in May 1912, with its constituent Military and Naval Wings, it was recognised that squadrons in the field would need dedicated support beyond that provided by the Royal Aircraft Factory at Farnborough. This task was assigned to the Line of Communications Workshop, later to become the Flying Depôt and ultimately the Aircraft Park, under which title it was deployed to France on the outbreak of war, reaching Boulogne on 18 August 1914. When it arrived in France, the Aircraft Park comprised just 12 officers, 162 other ranks, four motorcycles and four aeroplanes in crates. The Official History records that on disembarkation the port landing officer sent an urgent wire to GHQ, 'An unnumbered unit without any aeroplanes which calls itself an Aircraft Park has arrived. What are we to do with it?' Despite the unpromising start, the Aircraft Park soon proved itself invaluable in the constant struggle to keep the RFC's handful of aircraft available to support the rapidly moving armies. During the confusion of the first months of the war, the Air Park found itself constantly on the move. However, by the end of October 1914, after five changes in location, it arrived at St Omer where it would remain for nearly four years. As the war grew in scale and intensity, so did the logistic demands. The Aircraft Park came to resemble, in the words of its commander, 'A gigantic factory and emporium', repairing everything from aircraft to wireless equipment and vehicles. The range and quantity of spares to be handled created immense difficulties. The stores section was responsible for requisitions ranging from complete aircraft to horse rakes and lawnmowers for keeping aerodromes trim. By July 1915, the Aircraft Park had become too unwieldy to satisfy the demands placed upon it, a second park being established at Candas to cater for the southern squadrons. Both parks were supplied by rail from port depôts based at Boulogne and Rouen respectively. Even with these changes, it was evident that unless St Omer and Candas were relieved of some of their heavy repair work and the increasingly large range of stores they were now required to hold, there was no possibility that they could sustain a mobile role. In December 1915 it was decided to convert St Omer and Candas into fixed supply and repair depots and to create three new air parks in the army rear areas to provide mobile support to the flying squadrons. St Omer was retitled No 1 Aircraft Depot (AD) and Candas No 2 AD. At this stage, St Omer comprised some 1000 technical personnel (including MT workshops in the town itself on the Rue Therounne and a sub-site at Arques, some two miles away, engaged in kite balloon repair and the production of hydrogen) organised into a wide range of repair and stores sections holding three month’s stock of aeronautical and transport stores. The depot received, modified and issued direct to the front line new aircraft, maintained an attrition reserve and overhauled and reconstructed aircraft, balloons and vehicles. In this regard, the importance of salvage cannot be exaggerated. Wastage rates at the beginning of the war were relatively low, about 10% per month, but by June 1916 they had reached 47.7% per month, rising to a staggering 64.6% during the Battle of the Somme. In order to keep 1800 aircraft in the field (the size of the RAF at the Armistice) it was calculated that 1500 new aircraft would have to be delivered to France each month. The importance of St Omer and its sister depôt 2 AD at Candas in maintaining the operational effectiveness of the RFC during the Battles of the Somme and Third Ypres cannot be exaggerated. In the face of rapidly growing attrition, every aircraft that the depôts could repair or rebuild and every component or engine that could be salvaged was crucial. Thus, during September 1917, at the height of the Third Battle of Ypres, St Omer and Candas, working day and night, issued 930 aircraft, reconstructed 116 and erected 113. 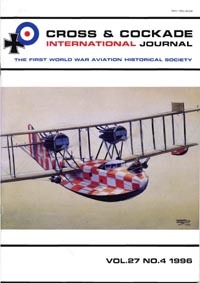 By the October of that year the volume of new aircraft deliveries (then averaging 400 a month) and the quantity of repair and salvage work had reached a level that necessitated the creation of separate Aeroplane Supply Depôt (ASD)s, alongside the main depôt, responsible solely for aircraft receipt, issues and repairs. Attached to the Depôt was the Pilots’ Pool that undertook ferry and flight test duties as well as providing refresher and conversion flying. It also served as a holding flight for recently arrived pilots awaiting posting to an operational squadron. Cecil Lewis, who was based St Omer in March 1916 describes the airfield as simply buzzing with activity. Reporting directly to Lieutenant W.F.C. Kennedy-Cochran-Patrick, OC the Pilot’s Pool, he flew a variety of aircraft types as well as witnessing comparative trials with a captured Fokker.41 Charles Cochran-Patrick had been based at St Omer since December 1915. His duties were wide and also included instructing and the conduct of experimental trials. 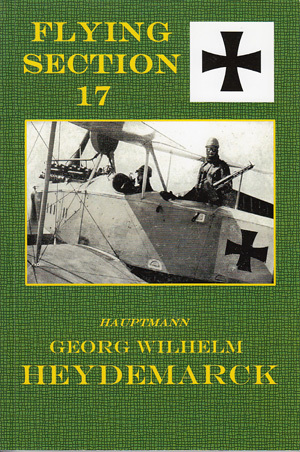 However, his most notable achievement was probably the shooting down, on 26 April 1916, of an LVG two-seater of FA5 over Hazebrouck while flying his personal Nieuport 16. This was the first, and only, aerial victory achieved during the war by 1 AD. Up to this point the depôt had consisted of only temporary sheds ands a number of Bessonneau hangars. However, contracts were now raised through the RE Works Directorate for the construction of workshops and repair sheds, including a dope shop and carpenters’, fitters’ and sailmakers’ shops as well as four small fuselage sheds. Further extensions were provided in 1917, including larger sheds, a Power House and 13 ‘B’ type hangars. The attached sketch shows the layout of the site in March 1918 – shortly before it was evacuated. A significant works programme was also put in hand at Arques to cope with the increase in the demand for hydrogen as the number of RFC kite balloon sections deployed on the Western Front rapidly grew from 1916 onwards. Hydrogen supplies had originally been obtained through the French authorities but increasing difficulties were encountered as consumption grew. To provide an assured supply, it was decided to create a local generating capacity at Arques, adjacent to the canal, some four miles from 1 AD. Early in 1916, Colonel Robert Brooke-Popham had written to the War Office arguing for the provision of two Silicol Plants and compressors capable of producing 50000 cubic ft of hydrogen per week. These plants were to be provided by the Admiralty together with the additional gas cylinders to increase the total number available on the Western Front to 8000. Empty cylinders were delivered to Arques by lorry and full cylinders returned direct to the kite balloon sections. At this stage several large balloon sheds had been erected, but over the next two years numerous additional buildings were constructed to provide for the hydrogen producing plant and the handling of gas cylinders. In addition, fully hutted camps were provided for officers and other ranks, including WRAF. 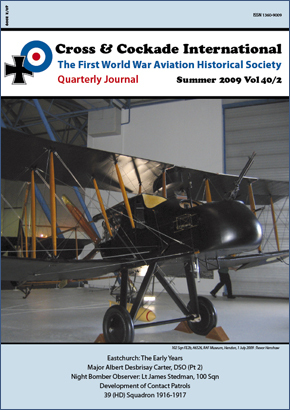 Although only small quantities of oxygen were required by the RFC in the first years of the war (in general for welding), with the introduction of higher performance aircraft from 1917 onwards an increasing amount of compressed breathing oxygen was required – ultimately reaching 25000 cubic ft per day. The installation of an electrolytic plant at Arques addressed this need – as well as allowing a further increase in hydrogen production. By March 1918, the St Omer depôts had grown into an immense enterprise. Over 4300 technical personnel (nearly 10% of the total strength of the RFC in France and Belgium) were directly employed in maintaining, modifying, repairing and salvaging aircraft and associated equipments. The scale of this operation and the haphazard development since the beginning of the war did not make for a pretty sight. Arthur Gould Lee, who was based in the Pilot’s Pool during 1917, described the depôt as an ugly sprawling place with scores of Bessonneau canvas hangars and workshops with rows and rows of Nissen huts. The German Spring offensive led to a major relocation of the fixed repair and supply depôts. Even before the full extent of the German advance was known, thought had been given to placing the aircraft depôts closer to the Channel Ports. In late March 1918, 1AD was directed to find a suitable site adjacent to the St Omer to Calais railway and canal or the Calais to Boulogne railway. As an immediate step, a reserve stock of spares was created to keep the northern squadrons supplied if a move was deemed necessary (equivalent to some 250 lorry loads). As the military situation deteriorated, Robert Brooke-Popham decided to implement these plans. The advanced section of 1AD was ordered to Guines on 11 April 1918 – an existing site occupied by 4 ASD – while the stores section went to Desvres. Further moves out of St Omer occurred on 15 April, when 1 ASD and its repair section moved to Marquise and the MT Repair Shops were dispatched to join those of 2AD. The War Diary of the St Omer Area Commandant recorded that the evacuation of the heavy units had proceeded very satisfactorily, 1 ASD being cleared in three days. The evacuation of the St Omer site was completed on 10 May 1918 when the residual depôt elements moved to Guines – leaving only the Hydrogen Silicol plant and tent stores at Arques from the original depôt. Even in the midst of this turbulence, the supply system did not falter such that 208 Squadron, who had burnt their entire compliment of Sopwith Camels when their airfield was overrun in heavy fog on 7 April 1918, was issued by the depôts with 20 new machines within 48 hours.